Everyone’s amazed by the growth of marketing over the internet. The internet has influenced so many people, companies or SME’s to buy or sell products irrespective of what location you are sitting or which location you are purchasing from. 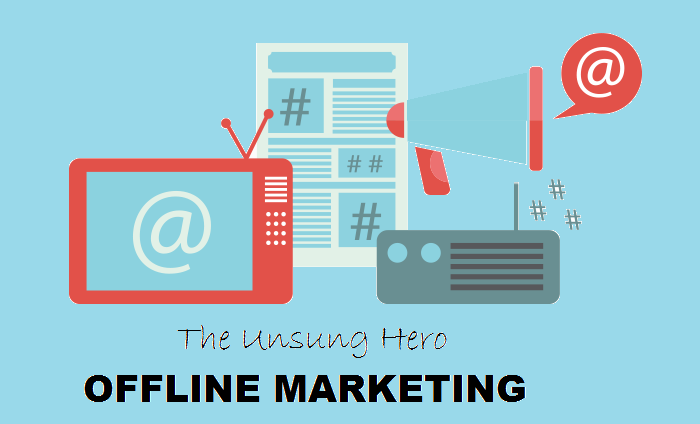 Stunned by the rapid growth over selling or marketing your products online, individuals and companies used different techs and mediums to promote online, but offline marketing was the one and only way of marketing 10 years back and trust me it still carries the potential to convert your local audience at least. Influenced by online marketing, offline marketing was sidestepped by many but they also ignored the small amount of potential clients or customers that they could be acquired through offline marketing. For SME’s offline marketing is still the first step and trust me with this that most of the successful businesses practice a combination of online and offline marketing strategies to generate leads and boost sales. Let’s learn about some top offline marketing strategies that you can follow to give that extra boost to your overall marketing. Find an event related to your industry and prepare an educational and meaningful speech. This leaves a lasting impression with peers who share a position in your industry and creates a visual representation of your business. If you don’t feel you have enough industry authority to deliver a speech to peers, it’s still helpful to attend the events. Introduce yourself and network with others. The relationships you build could help move the marketing deal elsewhere. Despite the consistent rise in online media, print is still effective. Pitch a press release to a magazine or newspaper that targets your audience. Press releases are a simple way to showcase an important event or milestone for your business, and the right publication could land you valuable attention. Stay active and form as many relationships with the press as possible—they’ll come in handy. Even in the age of email, snail mail is still an acceptable marketing method. You’d be surprised how many people prefer physical offers. It’s more costly and you miss out on the data you get from email campaigns, but you’ll stand out amongst your email-only competitors. Send coupons or new product updates, product samples, newsletters, or anything you think might promote your business the best. This is definitely a more personalized approach to marketing. This surely is one of the top offline marketing strategies. Trade shows put you under the same roof as the competition. You can study their pitch, check out their marketing materials, and generally gain real insight into their strategy. Of course, trade shows are also awesome opportunities to showcase your product and market your company. Network with other professionals and look for opportunities to grow by working together. Strengthen your brand by reevaluating your presentation. How do you compare to the competition? Looks matter—your branding and store design speak volumes. Maybe it’s time to refresh outdated looks that aren’t sending the right message to potential customers. Take time to revisit and iterate; the slightest change could make a big difference. Share Your Success, Celebrate It! Host a party, business gathering, or some form of celebratory event to share your success. Maybe you reached you landed a big partnership or launched a new service. Reach out to the local press to spread the word. Take the opportunity to acknowledge your team and encourage future successes. Your celebrations are bound to catch the attention of your target audience and secure you some future business. If finances allow, this is a phenomenal way to spread your name far and wide. Instead of just tabling at an event, take the lead and sponsor one. Plan a 5K or team up with a non-profit to host a fundraiser. When you’re the host, you can handle the merchandise. Give out branded goods, coupons, pamphlets and discount cards. This builds a positive brand image that people respect. These tips do require a lot of effort both physically and financially, but if you can mix them well with your ongoing marketing strategies, who knows maybe you’ll end up writing off a story about your own marketing tactics. So welcome new technology and strategies, but don’t forget their offline roots! You can have a bit of fun along the way. Hope you have enjoyed this blog post and learned a bit about top offline marketing strategies but if you are looking for some content marketing knowledge, read this or if you are more tech savvy and want to learn about SEO tips and tactics in 2017, visit here.